After working on a couple of serious tabular model projects, I’ve been talking to other BI practitioners lately about their thoughts regarding tabular model technology and I’m finding that there is little consensus among all these industry experts about which option to recommend for new BI projects. At SolidQ, I work with some of the most experienced Business Intelligence experts in the industry. At conferences and in discussion groups, there has been a lot of discussion about the choice between Analysis Services multidimensional models and the newer tabular semantic model technology introduced in SQL Server 2012. There are pros and cons for either side but I think there are some important factors to consider. Among some of the most experienced Analysis Services consultants, I have heard that some are primarily using and recommending tabular for most new projects and others are arguing that tabular offers little significant value over the tried-and-true multidimensional cubes and MDX script solutions. As is typical for a newer product, the usability experience for the model designer isn’t perfect. In some ways, it’s different and just may take some getting used to, but in other ways there is clearly room for improvement. The question now is; do the advantages of tabular vs multidimensional outweigh the somewhat rocky design experience? I’m not taking sides in this comparison but merely offering an objective analysis of the state of tabular model option in SQL Server 2012 Analysis Services, Service Pack 1. I expect this product to go through changes so for future reference, this information is for the released product at the time of this posting in June of 2013. The core VertiPaq (or xVelocity) query and aggregation engine is stable & reliable. Originally developed about five years ago and released with PowerPivot for Excel and SharePoint in SQL Server 2008R2 over three years ago, this technology has proven to be ready for serious use. Under most conditions, for analytic reporting, data scanned and aggregated from an in-memory data structure performs faster than other conventional options; including relational and multidimensional storage. 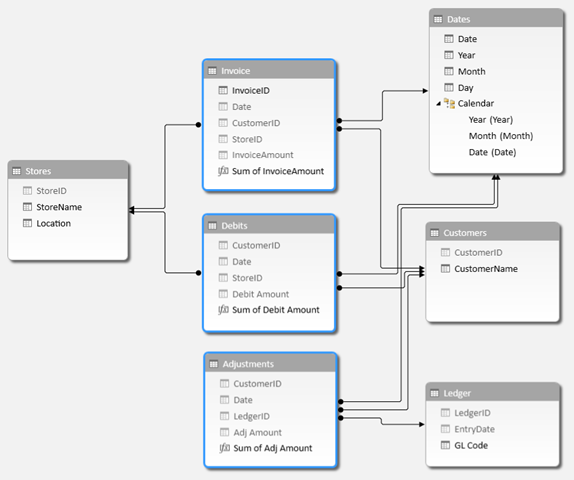 Tabular can be less complex than multidimensional, OLAP SSAS. The core design and usage concepts are easier for both those who design models and for those use use them for analysis and reporting. Tabular models can be easier & faster to implement because the model structure is simpler and there may be fewer steps in the design process. DAX, the core calculation expression language for tabular models, is fairly easy to learn. Fundamental DAX expression concepts can be easier to understand than equivalent MDX commands used in multidimensional modeling and calculations. Comparing features, tabular can be hard to justify when compared to multidimensional. Traditional SSAS cubes still have more capabilities than tabular models and for someone who already has OLAP skills and background, tabular design is a new learning curve. PowerPivot is a version 2 product. As such, it’s simple and fairly reliable in the majority of design scenarios. In some, mostly rare, cases, error handling and debugging capabilities aren’t as mature and robust as more tenured technologies like SSAS multidimensional or relational. Tabular SSAS is a version 1 product. As such, it has a list of well-known design annoyances and features that could (and should) improve in the next product go-round. The recommended design patterns & best practices, both from Microsoft development and support teams and from members of the expert practitioner community, are still emerging. One model.bim file = one developer working at a time. A departure from the long-time SSAS project development environment where every object (such as data sources, dimensions and cubes) were defined in isolated files managed by the project; SSAS tabular manages all of the database objects in a single model definition file. The model designer treats the model is more of a black box than a solution comprised of independent objects. However, the fact is that most of the same objects we work with in multidimensional/cube projects are all defined as XML elements in this file. It can be opened and properties manipulated,and there are a growing number of third-party tools to provide enhancements. Regardless, it is one big project file tat would need to be checked-out in source code management as a single project asset. The tabular SSAS support community is thriving but still small. A core group of trusted professionals from all over the world are the loudest voices right now. They promote tabular solutions and provide active and collective support for one another. The DAX expression editor in PowerPivot & the Visual Studio-based SSDT designer is quirky. You have to know is strengths and weaknesses and be willing to use it in that context. It attempts to assists with code completion but in the end, it doubles-up brackets and duplicates, rather then replaces old code, that it suggests. No doubt that the experience will get better as enhancements are developed and released but we must live with a product today that is useful and reliable a lot of the time but, it leaves plenty of opportunity for improvements. The entire tabular model must fit in memory. There’s no caching, swapping or distributed processing option for large models. This means that very large models need very large hardware and there is currently no scale-out option to distribute work loads or fail-over. Got a lot of data? Get a lot of memory. After you get into serious data with 30, 40 or 50 tables and some complexity to your model, the version 1.0 SSDT tabular model designer can be cumbersome and error-prone. I’ve seen it stop responding and throw errors when there were no errors. I will say that it’s helpful and reliable most of the time but on occasion, when it falls down, I often save and close my work; shut down Visual Studio all together and the fire it back up. My biggest peeve about the SSDT model designer is that all design work is performed while connected to the workspace database. This means that for every table and column rename,and for every single property setting change, this information is written to the model workspace database on the local SSAS tabular server, and after the changes have been committed, control is given back to the model designer. Some key SSAS features are not currently supported. These include things like parent-child hierarchies, many-to-many relationships, cube actions and display folders. Actually, this is not entirely true; actions and display folders can be added using after-market tools (like BIDS Helper, available in the CodePlex library) and by hand-writing the XMLA script, but they are not currently supported through the SSDT model designer. There is simply a category of features that didn’t find their way into this first version of the product. There are work-arounds and methods to enable these capabilities but they’re not supported, or at least not to the the same degree as they are in multidimensional SSAS. There is no doubt that in-memory, tabular model technology is the promise of the future. It just makes sense. Several vendors have come to the same conclusion and are developing products following this paradigm. Oracle just made a big announcement about adding in-memory column store to their future 12C product. Data residing and processed in memory is faster than data residing in disk. This is what VertiPaq does; whether implemented as PowerPivot, an SSAS tabular model or as a SQL Server column store, it works efficiently and elegantly without the complexities and overhead of indexes, partitions, file groups and other techniques typically used to optimize on-disk data stores. Even though tabular is fairly new, many useful & valuable features are supported today and work well. PowerPivot models upgrade seamlessly to tabular models. This provides a path for business users and IT professionals to author models in familiar tools (Excel or Visual Studio) and then promote them to a server hosted environment. Tabular models are managed and stored by SQL Server Analysis Services! Although some components of the tabular engine and the designer are new and still have wrinkles to be ironed-out, the core product is based on the solid and time-tested foundation of SSAS. This means that many of the features not implemented now will be available in future builds. Client applications that support SSAS multidimensional will also support tabular. In fact, any application built to work with SSAS cubes will natively work with PowerPivot and tabular as if it were a cube. This is because SSAS tabular uses the same data provider that understands both MDX & DAX queries. 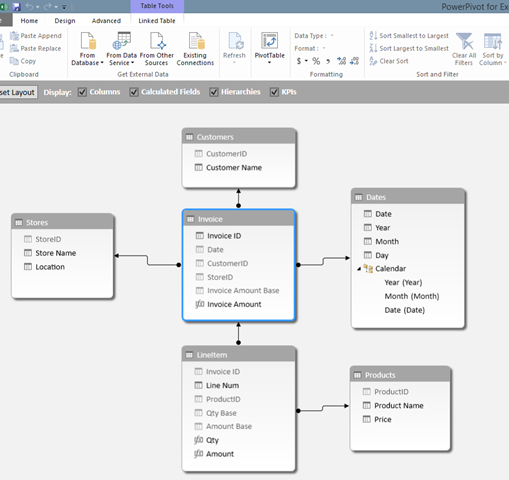 Posted in PowerPivot, SolidQ, SSAS Design, Tabular Models. I recently had the opportunity to review a pre-published copy of the “Instant” series book “Creating Data Models with PowerPivot How-to” by Leo Taehyung Lee, published by Packt Publishing. This is a short, concise book; only 46 pages long. Quite honestly, if I had picked up this book for myself, I wouldn’t have gotten much out of it. But, I’m an IT Professional with a few year’s worth of experience with PowerPivot and I need to go beyond the basics. Last week, I taught a PowerPivot/Excel 2010 class to a group of financial business users that covered getting started, the basics and some intermediate use scenarios; and I will recommend this book to every student in that class. It’s a perfect fit. Readers who are using Excel 2010 will find this a good fit for them. The book was written using examples in Excel 2010 and then mentions that PowerPivot is also available for Excel 2013 but doesn’t explain the differences, which are many (a newer version of PowerPivot is part of the Professional Plus edition of Excel 2013). Excel 2013 ProPlus users may be able to apply a good portion of the material but will encounter features on different ribbons and menus and other subtle differences between the two products that are not noted in the book. Just like the title states, “Creating Data Models with PowerPivot How-to” is a short, fast and focused guide that will get a new PowerPivot user started and using the Excel add-in to answer real business questions and to get good use of this product. It’s well-written guide, using clear and easy-to-understand language. The basics are covered sufficiently without getting into the weeds and exploring complex features. Topics are effectively illustrated and easy to find. If you’re a non-technical business user and need quick, simple guide to get you started, this book is a good place to begin. More information s available from the publisher here. Posted in BI Industry, Microsoft BI Platform, PowerPivot, SQL Syndication, SQLServerPedia. It’s that time of year again… end of the school year, graduation, Fathers’ Day and of course; time to take the annual BI Survey! The survey is an annual report conducted by Business Application Research Center (BARC), an independent software industry analyst, comparing the industry BI tools rated by thousands of industry professionals. Participants will have access to a free version of the results that they can use to compare and rank each vendor tool on a variety of criteria. BARC also sells a report of detailed survey results with exhaustive product and vendor background information. Posted in BI Industry, Microsoft BI Platform, SQL Syndication, SQLServerPedia. A Getting-Started and Survival Guide for planning, designing and building Tabular Semantic Models with Microsoft SQL Server 2012 Analysis Services. This post will be unique in that it will be a living document that will be updated and expanded over time. I will also post-as-I-go on the site about other things but this particular post will live for a while. I have a lot of good intentions – I know that about myself and I also know that the best way to get something done is to get it started – especially if I’m too busy with work and projects. If it’s important, the “completing” part can happen later. In the case of this post, I’ll take care of building it as I go, topic by topic. Heck, maybe it will never be “finished” but then are we ever really done with IT business solutions? I have been intending to get started on this topic for quite some time but in my very busy project schedule lately, didn’t have a concise message for a post – but I do have a lot to say about creating and using tabular models. I’ve added some place-holder topic headers for some things that are on my mind. This list is inspired by a lot of the questions my consulting customers, students, IT staff members and business users have asked me on a regular basis. This will motivate me to come back and finish them and for you to come back and read them. I hope that you will post comments about your burning questions, issues and ideas for related topics to cover in this living post about tabular model design practices and recommendations. SQL Server Analysis Services is a solid and mature platform that now serves as the foundation for two different implementations. Multidimensional models are especially suited for large volumes of dimensionally-structured data that have additive measure values that sum-up along related dimensional attributes & hierarchies. By design, tabular architecture is more flexible than multidimensional in a number of scenarios. Tabular also works well with dimensional data structures but also works well in cases where the structure of the data doesn’t resemble a traditional star or snowflake of fact and dimension tables. When I started using PowerPivot and tabular SSAS projects, I insisted on transforming data into star schemas like I’ve always done before building a cube. In many cases, I still do because it’s easier to design a predictable model that performs well and is easy for users to navigate. A dimensional model has order and disciple however, the data is not always shaped this way and it can take a lot of effort to force it into that structure. Tabular is fast for not only additive, hierarchal structured data but in many cases, it works well with normalized and flattened data as long as all the data fits into memory and the model is designed to support simple relationships and calculations that take advantage of the function engine and VertiPaq compression and query engine. It’s actually pretty easy to make tabular do silly, inefficient things but it’s also not very hard to make it work really well, either. James Serra has done a nice job of summarizing the differences between the two choices and highlighted the strengths and comparative weaknesses of each in his April 4 blog post titled SQL Server 2012: Multidimensional vs Tabular. James points out that tabular models can be faster and easier to design and deploy, and that they concisely perform well without giving them a lot of extra attention for tuning and optimization. Honestly, there isn’t that much to maintain and a lot of the tricks we use to make cubes perform better (like measure group partitioning, aggregation design, strategic aggregation storage, usage-base optimization, proactive caching and cache-warming queries) are simply unnecessary. Most of these options don’t really exist in the tabular world. We do have partitions in tabular models but they’re really just for ease of design. What About Multidimensional – Will Tabular Replace It? The fact is the multidimensional databases (which most casual SSAS users refer to as “cubes”) will be supported for years to come. The base architecture for SSAS OLAP/UDM/Multidimensional is about 13 years old since Microsoft originally acquired a product code base from Panorama and then went on to enhance and then rewrite the engine over the years as it has matured. In the view of many industry professionals, this is still the more complete and feature-rich product. Both multi and tabular have some strengths and weaknesses today and one is not clearly superior to the other. In many cases, tabular performs better and models are more simple to design and use but the platform is lacking equivalent commands and advanced capabilities. In the near future, the tabular product may inherit all of the features of its predecessor and the choice may become more clear; or, perhaps a hybrid product will emerge. Isn’t a Tabular Model Just Another Name for a Cube? No. …um, Yes. …well, sort of. Here’s the thing: The term “cube” has become a defacto term used by many to describe the general concept of a semantic model. Technically, the term “cube” defines a multidimensional structure that stores data in hierarchies of multi-level attributes and pre-calculated aggregate measure values at the intersect points between all those dimensions and at strategic points between many of the level members in-between. It’s a cool concept and an an even cooler technology but most people who aren’t close to this product don’t understand all that. Users just know that it works somehow but they’re often confused by some of the fine points… like the difference between hierarchies and levels. One has an All member and one doesn’t but they both have all the other members. It makes sense when you understand the architecture but it’s just weird behavior for those who don’t. Since the tabular semantic model is actually Analysis Services with a single definition of object metadata, certain client tools will continue to treat the model as a cube, even though it technically isn’t. A tabular Analysis Services database contains some tables that serve the same purpose as measure groups in multidimensional semantic models. The rest of the tables are exposed as dimensions in the same way that cube dimensions exists in multidimensional. If a table in a tabular model includes both measures and attribute fields, in certain client tools like Excel, it will show up twice in the model; once as a measure group table and once as a dimension table. As is typical for a newer product, the model designer usability isn’t perfect and there’s a lot to consider before trading up from a technology that’s been around for a long time. This posts summarizes all that is good, not so good and beautiful about the next generation of SSAS tabular; in-memory, BI semantic models. I’ve taught a few PowerPivot training sessions to groups of business users (now, remember that Tabular SSAS is really just the scaled-up version of PowerPivot.) Admittedly I’m more accustomed to working with IT professionals and when I teach or work with users, I have to throttle my tendency to go deep and talk about technical concepts. In these classes, I find myself restating the same things I’ve heard in conference presentations and marketing demos about PowerPivot data sources, like “you can import just about anything into PowerPivot”. As I read the bullet points and articulate the points on the presentation slides to these users, I have this nagging voice in the back of my mind. I’ve spent many years of my career unraveling the monstrosities that users have created in Access, Excel & Visual Basic. Whether stated or implied, there is a common belief that a PowerPivot solution doesn’t require the same level of effort to transform, prepare and cleanse data before it gets imported into a data model. For many years, we’ve been telling these users that it will take a serious effort, at significant cost, to prepare and transform data before we can put it into a data mart or cube for their consumption. In a typical BI solution, we usually burn 70-80% of our resource hours and budget on the ETL portion of the project. Now, using the same data sources, users are being told that they can do the same thing themselves using PowerPivot! One of the things that I really enjoy about building tabular models is that I can have my data in multiple structures and it still works. If the data is in a traditional BI “Kimball-style” Star schema, it works really well. If the data is normalized as it would be in a typical transactional-style database, it still works. Even if I have tables that are of a hybrid design; with some characteristics of both normalized and dimensional models, it all works beautifully. Here’s the catch; one of the reasons we build dimensional data model is because they are simple and predictable. It’s really easy to get lost in a complex data structure and when you start combining data form multiple source systems, that’s where you’re likely to end up. Getting business data into a structure that is intuitive, that behaves correctly and gives reliable results can be a lot of work so be cautious. Just because a tabular model can work with different data structures doesn’t that you don’t need to prepare your data, clean it up and organize it before building the semantic model. The classic star schema is one of the most effective ways to organize data for analysis. Rather than organizing all data elements into separate tables according to the rules of normal form, we consolidate all the measures that are related to common dimensional attributes and with a common grain (or aggregation level), into a fact table. The dimensional attributes are stored in separate dimension tables – one table per unique business entity, along with related attributes. Any group of measures not related to the same set of dimensions at the same level would be stored in their own fact table. In the example, Invoice measures that are related to stores and customers, recorded every quarter are in one fact table. The sales debit records for customers and stores that are recorded daily go in a different fact table. The account adjustments don’t record the store key but they are uniquely related to accounting ledger entries stored in the ledger table. Note the direction of the arrows showing that facts are related to lookup values in the dimension tables. If you can pound your data into the shape or a star schema and this meets your requirements; this is what I usually recommend. It’s a simple and predictable method to organize data in a well-defined structure. Now, let’s look a variation of this approach that has characteristics of both the star schema and normalized form. We’ll call this a “hybrid” model. The following hybrid schema contains two fact tables in a master/detail relationship. The cardinality of the Invoice and LineItem tables is one-to-many where one invoice can have multiple line items. This would be considered a normalized relationship with the InvoiceID primary key related to the an InvoiceID foreign key in the LineItem table. The Invoice table contains a numeric measure called Invoice Amount that can be aggregated by different dimensional attributes. Those attributes, such as Store Name, Customer Name or any of the calendar date units in the Dates table that are organized into a natural hierarchy (with levels Year, Month and Date). To facilitate this, the invoice table is related to three different dimension tables: Stores, Customers and Dates. Each of the dimension tables has a primary key related to corresponding foreign keys in the fact table. The LineItem table also numeric measures and is related to the Products table, also a dimension table. Are There Rules for Tabular Model Design? Oh, absolutely. Tabular SSAS and PowerPivot allow you to work with data is a variety of formats – structured & unstructured, dimensional & normalized. You have a lot of flexibility but there are rules that govern the behavior and characteristics of data. If you don’t follow the rules, your data may not meet your requirements in the most cost-effective way. This reminds me of an experience when I started high school. What’s the Difference Between Calculated Columns & Measures? What are the Naming Conventions for Tabular Model Objects? What’s the Difference Between PowerPivot and Tabular Models? Do I Write MDX or DAX Queries to Report on Tabular Data? Can I Use Reporting Services with Tabular & PowerPivot Models? Do We Need to Have SharePoint to Use Tabular Models? What Do You Teach Non-technical Business Users About PowerPivot and Tabular Models? What’s the Best IT Tool for Reporting on Tabular Models? What’s the Best Business User Tool for Browsing & Analyzing Business Data with Tabular Models? How Do You Design a Tabular Model for a Large Volume of Data? How Do You Secure a Tabular Model? How do you tune a tabular model? You don’t. You can prevent performance and usability problems through proper design. Posted in BI Industry, Microsoft BI Platform, MVP Community, PowerPivot, SolidQ, SQL Server, SQL Syndication, SQLServerPedia, SSAS Administration, SSAS Design, Tabular Models. Tagged " & Workspace and Database Recovery Techniques, Are There Rules for Tabular Model Design?, Can I Use Reporting Services with Tabular & PowerPivot Models?, Data Modeling 101 for Tabular Models, DAX: Essential Concepts, DAX: Some of the Most Interesting Functions, DAX: Some of the Most Useful Functions, Do I Write MDX or DAX Queries to Report on Tabular Data?, Do We Need to Have SharePoint to Use Tabular Models?, Getting Started with DAX Calculations, How Do You Design a Tabular Model for a Large Volume of Data?, How Do You Secure a Tabular Model?, How to Deploy and Manage a Tabular Model SSAS Database, How to Promote a Business-created PowerPivot Model to an IT-managed SSAS Tabular Model, Isn’t a Tabular Model Just Another Name for a Cube?, Preparing Data for a Tabular Model, Scripting Tabular Model Measures, Simplifying and Automating Tabular Model Design Tasks, Survival Tips for Using the Tabular Model Design Environment, Tabular Model & ", Tabular Model Common Errors and Remedies, Tabular Model Design Checklist, Using DAX to Solve real-World Business Scenarios, What About Multidimensional – Will Tabular Replace It?, What are the Naming Conventions for Tabular Model Objects?, What Do You Teach Non-technical Business Users About PowerPivot and Tabular Models?, What’s the Best Business User Tool for Browsing & Analyzing Business Data with Tabular Models?, What’s the Best IT Tool for Reporting on Tabular Models?, What’s the Difference Between Calculated Columns & Measures?, What’s the Difference Between PowerPivot and Tabular Models?, Why Tabular? The Power View connectivity for Multidimensional Models has been released to the public as part of SQL Server 2012 Service Pack 1 Cumulative Update 4. This announcement was made by Robert Bruckner to the SQL Server BI community last night, on May 31, 2013. The official public announcement, posted by Siva Harinath, is on the Analysis Service & PowerPivot Blog. In March, I posted about the public preview of the “Microsoft SQL Server 2012 With Power View For Multidimensional Models”. Well, the official release is now available for those currently using SQL Server 2012. When the preview became available a couple of months ago, I was very excited to test it out so I downloaded it, quickly scanned the release notes and then proceeded to upgrade an existing SQL Server 2012 SP1 development server. What I missed in the release notes was the requirement to uninstall several existing components and then to install them from scratch. That wasn’t as easy as I had hoped but it’s pretty typical for prereleased software to not include upgrade support. After all, the product teams are focused on finishing features and debugging and not getting all the upgrades and installation details sorted out. Those steps usually happen last in the release cycle. Not to worry, this new capability is now part of the Cumulative Update 4 for SQL Server 2012. This means that it will be fully-supported as an upgrade to an existing SQL Server 2012 installation. This is very exciting news. If you have seen Power View demonstrated with new SSAS tabular models and PowerPivot models in Excel and SharePoint, you know what a simple and powerful data browsing and visualization tool it is. Some people have been a little disappointed that Power View initially only worked with new xVelocity-based tabular models and not the multidimensional cubes built with SQL Server Analysis Services, that have become common in many Microsoft centered IT shops throughout the industry. The Microsoft product teams have shared a lot of good news, like this, recently about BI innovations – with Power View in Excel 2013 and GeoFlow recently released. They are likely to share even more good news in the weeks and months ahead. It’s an exciting time to see some very impressive, powerful, fun to develop and fun to use BI business and IT tools all coming together to meet very real business problems. I don’t know about you but I’m going to get this baby installed and working right away. I have clients who have been waiting patiently (and some not so patiently) to use Power View with their existing cubes. I love to be the bearer of good news. As is usual when something noteworthy happens on the Microsoft BI community, Chris Webb has blog eloquently on the topic and with significant detail. Read today’s post on his blog here.